Harmony Road students performed in MTAC’s annual Jazz Pop Festival on November 10, 2018. The event was held at California Keyboards piano store. Even, Kendra, Natalie, Andrew, and Guennevierre each received a medal. Kendra received 2 trophies for her two high-scoring performances. 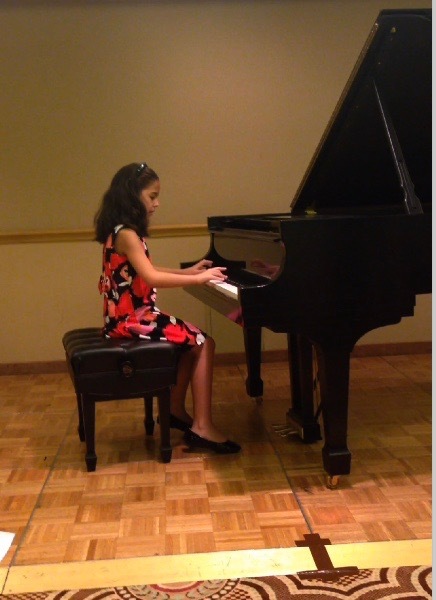 Several Harmony Road students were invited to perform in various recitals at MTAC’s annual Convention. Hannah, Jared, Kendra and Coco performed their original creations in the Improvisation Recital. Coco performed her original compositions in the Composer’s Today recital. 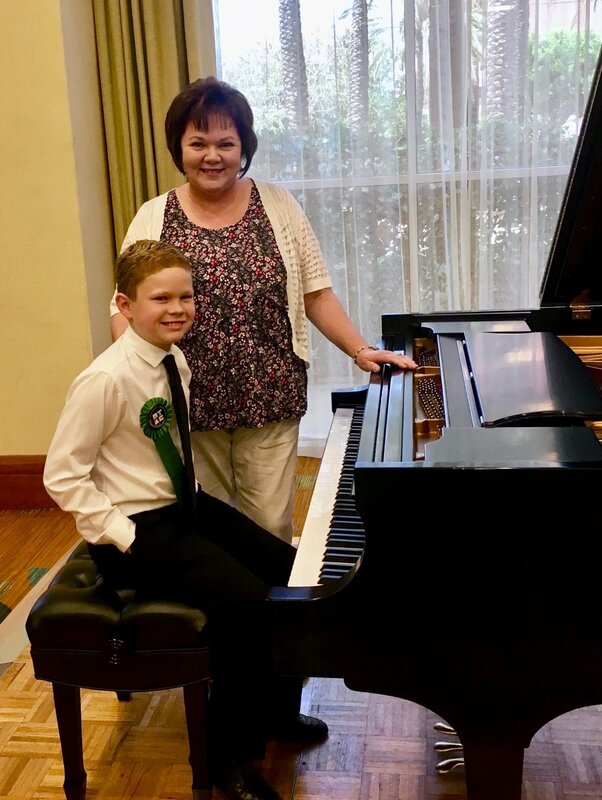 Andrew performed in the New Materials Recital. Students were thrilled to meet one of their favorite composers, Melody Bober!! 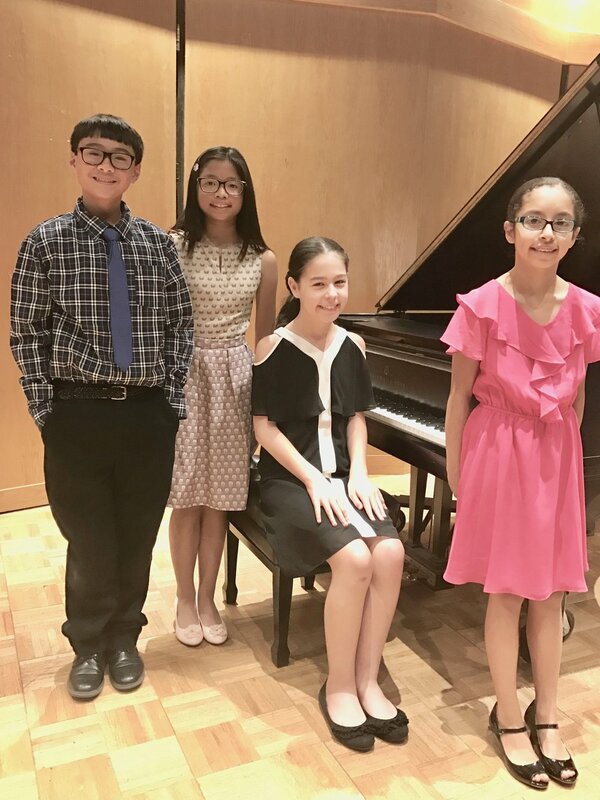 Five Harmony Road students were invited to perform in MTAC's Honors Recital in April. Students were selected based on receiving high marks in various programs over the past year: Jazz Pop Festival, Winter Festival, Certificate of Merit, Improvisation Evaluation and Composers Today evaluation. 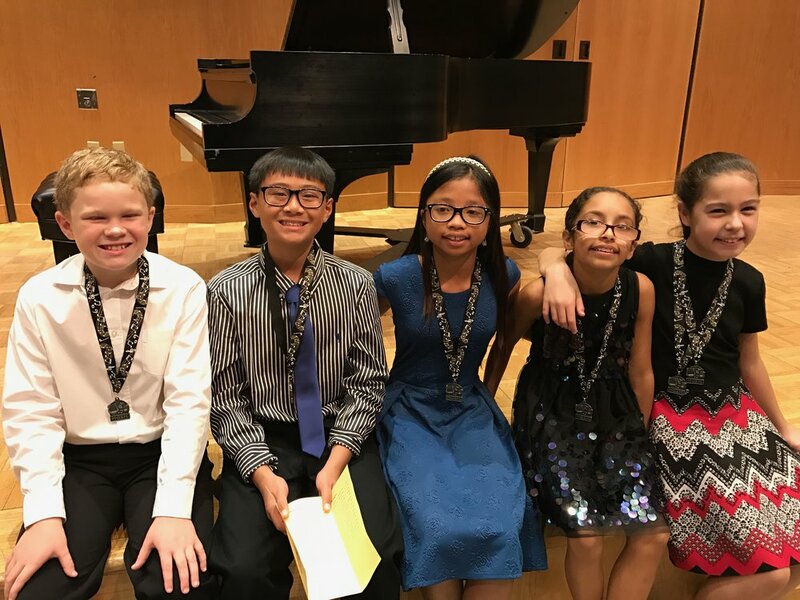 22 Harmony Road students participated in Piano Guild evaluations May 4-5, 2018. The annual event was held at a local piano store. Students performed from 2 - 14 memorized pieces including scales and chords. 4 students prepared an 8-piece program and 1 student a 14-piece program. Students received a report card with constructive comments, a certificate and Guild pin. Eleven students participated in the annual Certificate of Merit evaluation in March 2018. 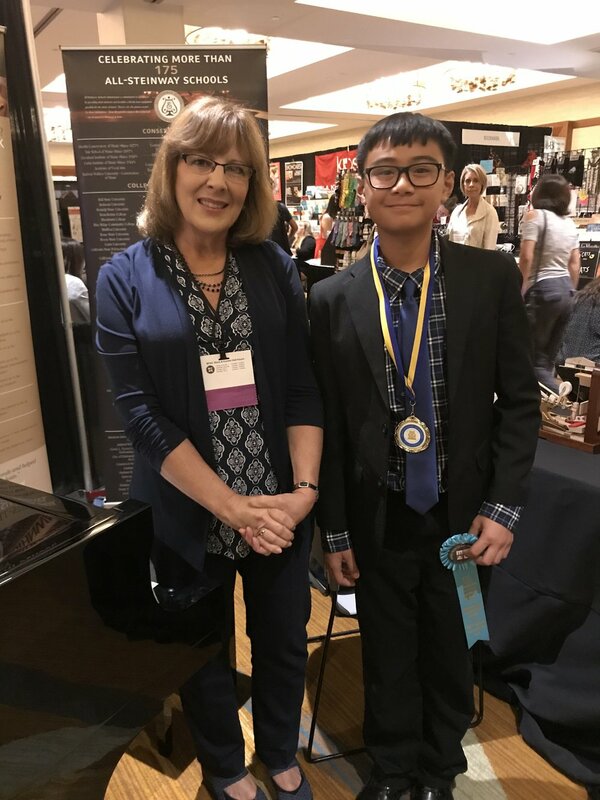 Students are required to perform 2-3 pieces as well as technique requirements (scales and chords), do sight reading, and take a theory and ear training test. 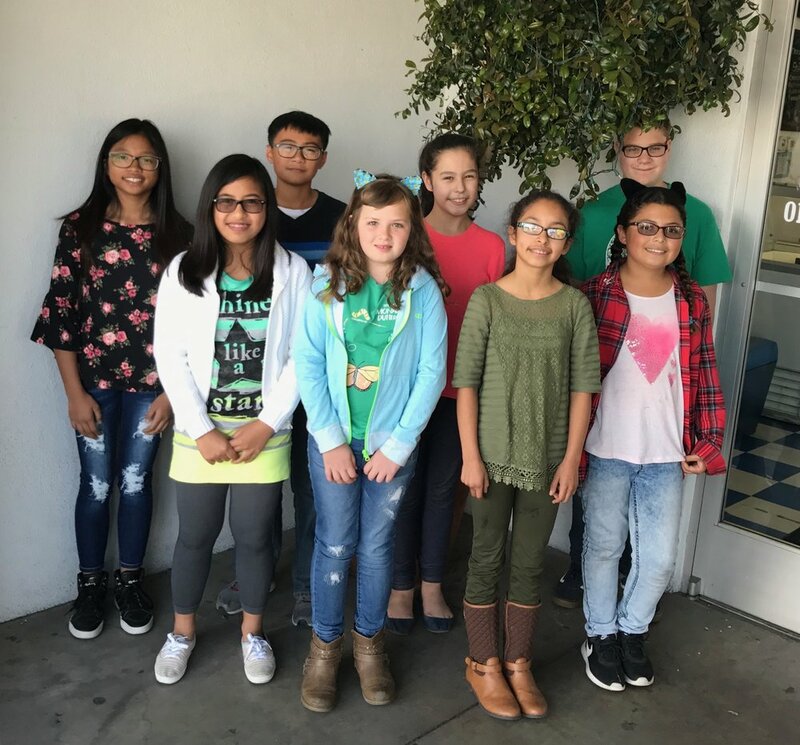 With over 200 Bakersfield area students enrolled in CM this year, 5 achieved 100% scores on their theory exams for their level, with 2 students coming from Harmony Road. 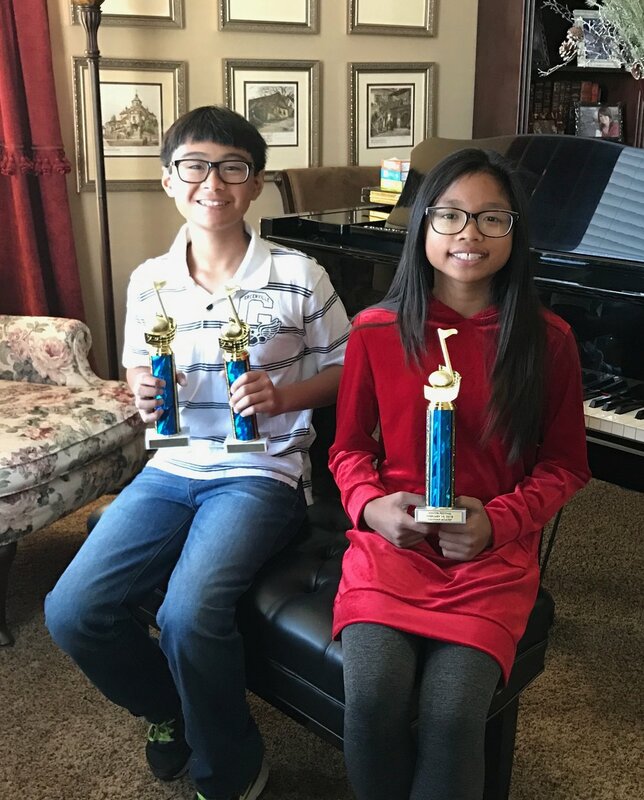 Andrew S. (lev 1) and Coral Rose C. (lev 5) received trophies for their perfect scores. We celebrated the completion of CM with an ice cream party. Congratulations to all! MTAC's Winter Festival was held at the Beale Library in February 2018. The theme for this year's festival was 'Music of North American Composers'. Students Jared, Hannah, Coco, and Kendra performed 1-2 pieces each and were judged on various aspects of their performance. Jared received 2 trophies for 'Midtown Jam' and 'Dance of the Matador'. Hannah received a trophy for 'Majestic Mountain'. Several Harmony Road students performed at the annual Barnes & Noble Christmas recital hosted by MTAC teachers. An annual tradition for several years now, the event features an entire day of Christmas music by students of MTAC teachers. 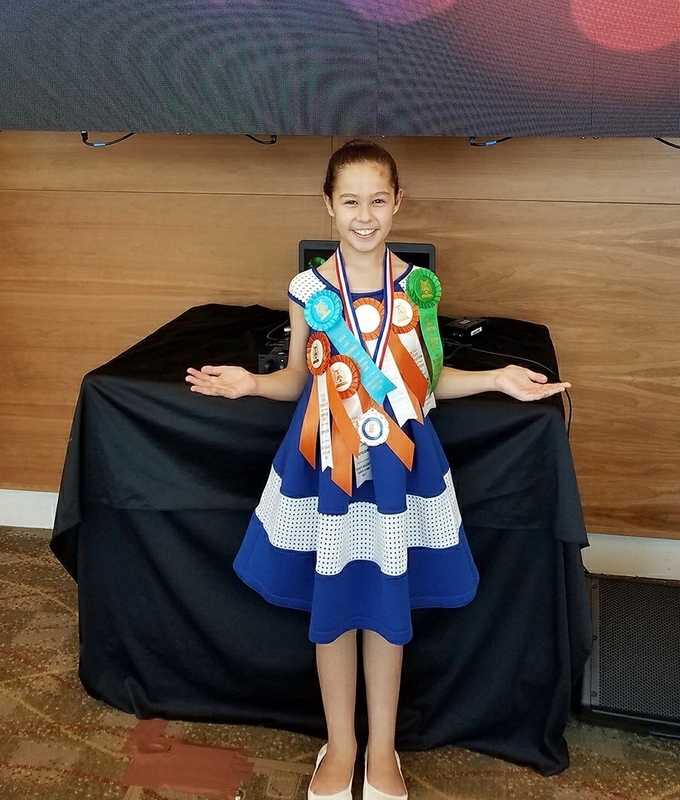 Harmony Road students Coco, Jared, Hannah and Kendra performed in various recitals at the annual MTAC Convention in Santa Clara in June. Recitals included Improvisation (where students submitted their own musical creations to be critiqued and judged), Certificate of Merit 'New Materials' and 'Theme' recitals, and Composer's Today, where student Coco submitted 4 notated compositions to be evaluated. Congratulations to all! Several students participated in the annual Jazz Pop Festival on Saturday, October 28. Pictured L to R are Andrew, Jared, Hannah, Kendra and Coco.